If you’re feeling inflammation and pain in the soft tissue around your elbow, wrist, hip, knee, or ankle, you may think it’s tendinitis when it’s really bursitis – or vice versa. Tendinitis and bursitis are two very similar conditions that involve inflammation of the soft tissue around muscles and bones, most often around your joints. Though these conditions are sometimes used interchangeably by patients, they are actually quite different. When a tendon – the fibrous tissue connecting muscle to bone – becomes inflamed, it is called tendinitis. Tendons can be small, like those found in the hands and feet, or large, like the Achilles tendon that runs from the heel of the foot up through the calf of the lower leg. Tendinitis typically flares up with increased activity levels – whether that means when a person is just starting to work out again after a period of inactivity or from upping the intensity of a particular workout regimen. Symptoms include pain and tenderness at the site of the tendon, stiffness, and/or swelling. The pain may intensify during activity and could worsen such that it’s felt even during inactivity. The pain may be felt as a sharp or stabbing pain when active and a bit duller when at rest. If your doctor believes you have tendinitis, an ultrasound or MRI may be recommended to confirm the diagnosis or to rule out other potential causes of your symptoms. The bursa sac is a fluid-filled cushion located between bones, tendons, and muscles at the joints such as at the shoulders, elbows, hips, and knees. When these sacs become inflamed, it is called bursitis. The bursa, which help reduce friction during movement, can become inflamed due to injury, overuse, or disease. Tendons and bursa are located closely together so they can be difficult to differentiate. It doesn’t help that both can be caused by overuse and the symptoms of each can feel the same. When the Pain Occurs. Tendinitis in its early stages is more likely to cause pain solely during activity, whereas bursitis pain tends to occur even when at rest. Where the Pain Occurs. Tendinitis is most prevalent in the fingers, thumb, and elbow. Bursitis, on the other hand, most often occurs in the shoulder. Your Age. Bursitis is more likely to occur in older adults. And, although the risk of tendinitis increases with age, it commonly occurs among all age groups. Getting back to work and play is important to you. It’s important to us, too. 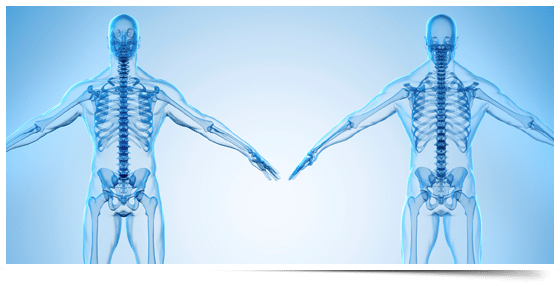 At Florida Sports Medicine & Orthopaedics, our goal is to get every patient back up and running toward his or her health goals in the safest way possible. We’ll help diagnose your condition and provide effective treatment to assure a speedy and safe recovery. For more information, call Florida Sports Medicine & Orthopaedics at (850) 763-0346 or request an appointment online and get back on track to health and wellness.